Firstly, I’d just like to say thank you to Writer/Director, Nicholas Santos for allowing me early access to an online screener of his 4 minute, Horror/Comedy short “Holiday Fear”. 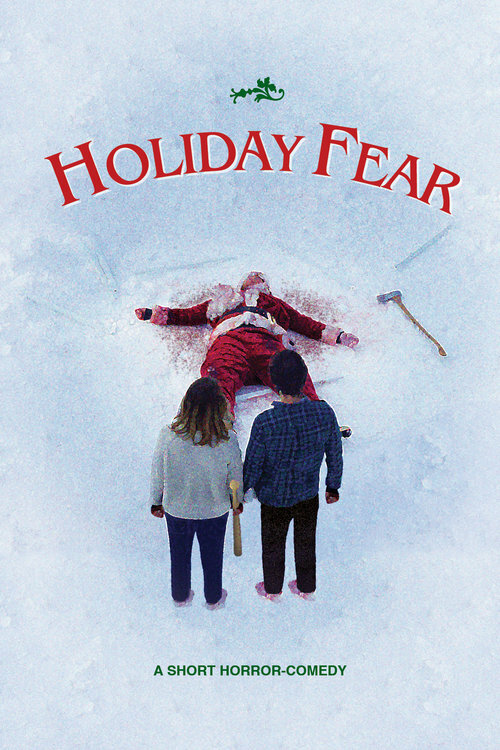 Holiday Fear is a Christmas themed short that picks up with young adult couple, Emily and Bruce (played by Rebeca Robles and Eric Whitten) just after an attempt has been made on their lives by a madman in a Santa costume. Now it’s up to Bruce to impress the girl and finish off the killer. The film also stars Ben Elder. Holiday Fear opens with Emily and Bruce standing atop the broken balcony of their snow-covered domicile, a bloody Santa lay seemingly lifeless below them. From there, the couple must decide the fate of this holiday intruder. Santos’s screenplay isn’t so obviously funny, but the subtle humor is evident through the dynamic between Emily and Bruce and how the conventional “horror movie” clichés are somewhat reversed. Both Robles and Whitten know the intended tone and their performances reflect that. The audio is crisp and clean and the cinematography is simple but effective. Kyle Kelley’s use of the wide shot and gentle zooming both help make for a great looking short. 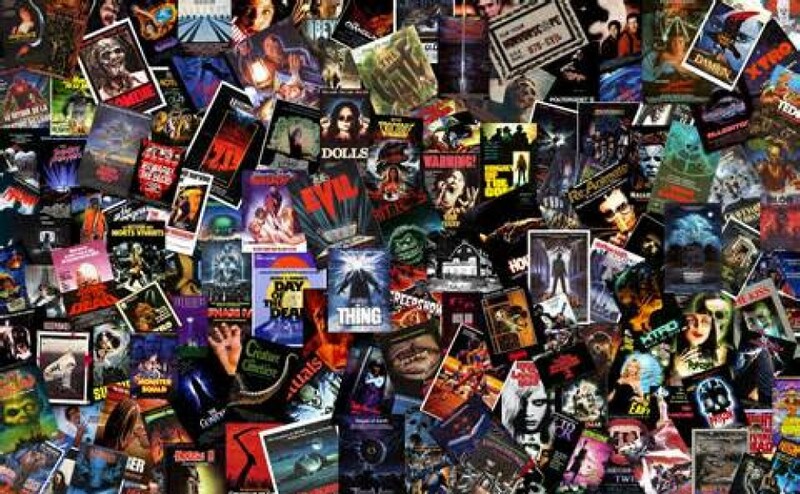 The score is made up of some nice synth orientated music with plenty of bass in the mix. Holiday Fear is one of those blink and you’ll miss it type of deals, and trust me you don’t want to miss it. Nicholas has worked in short films for nearly a decade and it shows in the quality of this latest holiday themed entry. The concept takes the road less traveled in regard to the point where it picks up at, the cinematography is great and the score fits. Both actors are very watchable and there wasn’t anything I could fault in the speedy 4 minutes (if I’m nitpicking, I’d have loved to have seen some gore). Down the track perhaps we will see the events that led to Emily and Bruce’s final act conundrum. Holiday Fear will surely go down as one of the best shorts of 2017! It’s now available for viewing online at the link below. Enjoy!